Join your classmates and reminisce about the wonderful times you had at Minot State University. Reunions are held during Homecoming week. 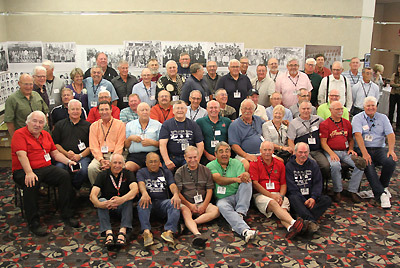 If your group is interested in having a reunion, contact the alumni office at 701-858-3373 for assistance. We'd love to have you back! Thank you to our 2018 featured reunion groups, Native American Students, Veterans Students, Sig Tau Gamma Fraternity and Football. It was fun to see everyone back! We are looking for groups for homecoming 2019. If your groups is interested in having a gathering during homecoming 2019, contact the MSU Alumni Office at 701-858-3234.